Every Wednesday, a couple hundred food bloggers participate in what is known as “What I Ate Wednesday.” It’s basically a “link party”, where you show readers the food that you’ve been eating, and then link back to Jen’s website, Peas and Crayons. Jen showcases each blogger’s foods and links back to them, creating an awesome mess of food and blog publicity for all parties. Jen had a GREAT idea with this theme! A virutal potluck! But I’m not a foodie. I’m a fitness-ie. And I’m always looking for new exercises and moves to do, for myself and for my clients. 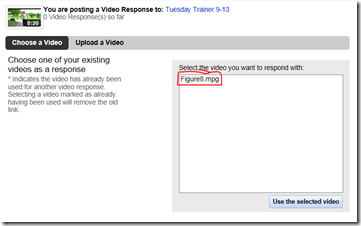 So why not create a link party that did just that: showcase each blogger’s exercise moves. Introducing Tuesday Trainer. A virtual fitness class! Every Thursday, I will announce the “workout theme” for the next Tuesday and I’ll post MY move that day (Thursday). Example: Legs, Arms, Core, Plyometrics. Then, you will videotape yourself doing a move that falls under the theme. If you don’t own a video camera, take a few pictures of yourself going through the motions of your move. 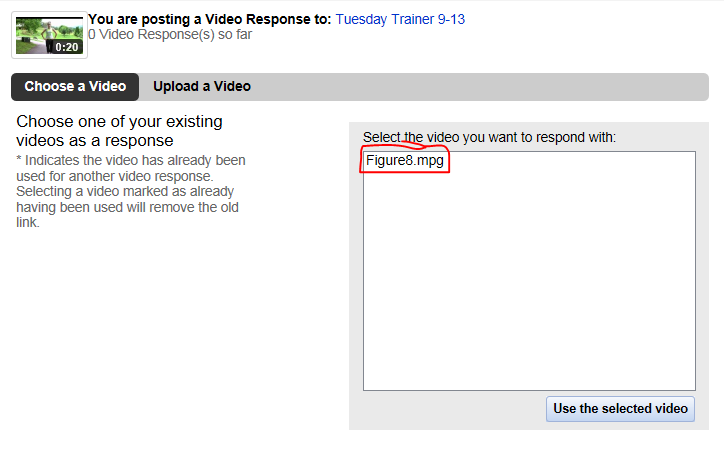 By Monday night, you will upload your “move” to YouTube. 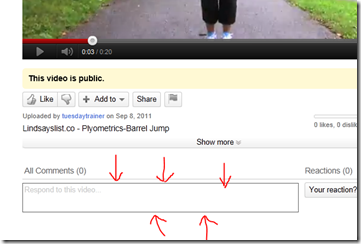 If you’re not uploading video, but submitting photos instead, just email them to me as an attachment. On Tuesday, I will showcase YOUR move on Lindsay’s List. In addition, I will select 6-10 moves and put together a complete workout. Every week, readers and bloggers alike, will have a place to go to get a complete workout and ideas for new moves. In your own Tuesday post, you can embed your move and next week, I’ll have a Tuesday Trainer button to go along with that. A complete workout, in video format. No thinking involved, just follow along. A way to get to know each other through vlogging and/or pictures. To help you get an idea of what I’m expecting, here’s an example. Try not to laugh too hard. As you can see, the setup is simple. “Hi, my name is ___________ from ____________. Today I’ll be showing you _____________.” Then the move. If you’re using any type of equipment, tell us that as well. No need to describe technique or reps. I’ll include that on Tuesday. 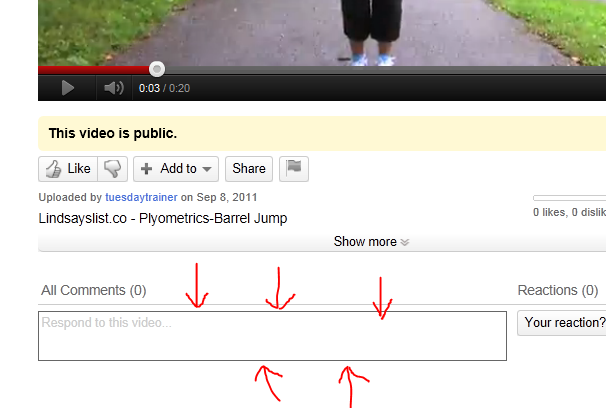 If you’d like to give further information, you can include it in the description of your video. Also, remember that if you post your move on your own blog, please include a link back to Lindsay’s List (Like I said, we’ll use a button for future TT’s). As T.T. gains in popularity, I’ll be able to have a catalog of various moves to select from and then we can really start getting creative with the workouts. If you need further assistance or have more questions, direct them to me at lindsayslist at gmail dot com. I’m REALLY excited to see what you guys come up with. And what kind of sneaks you’re rockin’. And what your voice sounds like. Pingback: Tuesday Trainer: Meet The Trainer Edition! Pingback: Tuesday Training: Legs + SeaSnax Giveaway!! Pingback: Life to the Full · Cardio vs. HIT–what’s the best workout? Pingback: Life to the Full · & now, the REST of the story! Pingback: I’m the kind of Woman who…. Jenn – I’ve had that link up to your page for like a month – I hope you get some traffic!! LOVE your idea and WIAW! Pingback: On a roll « Yes, I want cake.